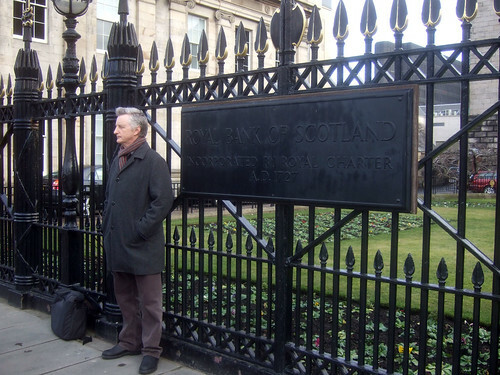 Billy Bragg brought his campaign against bonuses for Royal Bank of Scotland to Edinburgh today. His speech castigated poverty and inequality and attacked politicians who have done nothing to address these issues. Yet he exuded the "sweet moderation" he sang of in Between the Wars. A little too moderate for my tastes but kudos to him nonetheless for sticking it to the bankers. There is some video which will emerge once I get time to upload it.